We are always on the lookout for new technology that can help plan your home renovation and make the process easier. Recently, we have seen some architects and designers use 4D technology to help their customers design and visualise their dream home. So we decided to catch up with Virtual Worlds whose technology allows renovators to visualise and test their new kitchen or bathroom through an immersive experience. Why is there a need for 4D design? Redesigning your kitchen or your bathroom is a big investment – not only will it take a big chunk of any home improvement budget, it will also take time and cause some temporary upheaval. And once the room is complete you’ll want to feel comfortable living with the finished design for many years to come. Recent research suggests that as many as 35% of UK homeowners experience buyer’s remorse when it comes to home improvements and it can take several years to finally pluck up the courage to have a new kitchen or bathroom fitted, for fear that the end result won’t live up to expectations. A lot of this hesitancy can be because there is so much choice available – choosing the right colours, materials and styles can be tricky and while they look good in a glossy magazine or brochure, there’s no guarantee that they will suit the space in your own home. The bottom line is that settling on the right look can be daunting and difficult to visualise, no matter how many home interiors magazines and websites you flick through. 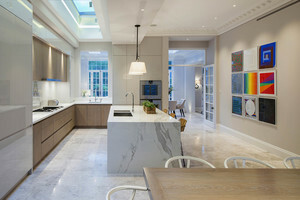 Even seeing fixtures and fittings ‘in the flesh’ in a showroom won’t always alleviate doubt entirely, as very few kitchens and bathrooms really look like showroom displays in real life. What are the benefits of 4D design? With 4D design you are able to try before you buy and experience being in your dream kitchen or bathroom before you’ve made any final decisions. The latest 4D technology enables users to take a virtual reality tour of their dream room and deliver an immersive design experience that puts an end to buyer’s remorse once and for all. One of the most important factors is spatial awareness; with a virtual reality headset users are able to virtually jump into the design, walk around the room and interact by opening drawers and cupboards, just like you would in real life. It’s like trying on a new pair of shoes for size, and tweaking your choice until you get the most comfortable fit. With 4D software, products can be chosen and replaced quickly and simply and it is easy to visualise whether there is enough space between the basin and WC, for example, then adjustments can quickly and simply be made, removing that element of doubt that you’re often left with from design stages to final installation and ensuring that the bathroom or kitchen you plan is the one that you get. 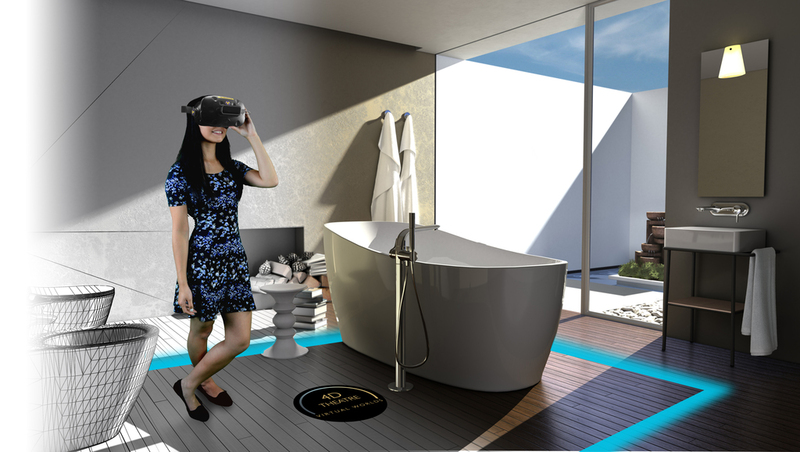 Some 4D software even enables you to view your dream kitchen or bathroom can as a ‘room in a box’ using a phone app and a Google Cardboard headset, so you can share with friends and family before your dream design becomes a reality. Where can I find 4D design? Many independent retailers now have 4D theatres in their showrooms, offering a new way to choose a new kitchen or bathroom. Immersive virtual reality, such as Virtual Worlds 4D Theatre, features real-time photo rendering, surround sound, voice commands and product interaction, enabling the user to feel what it would really be like to stand, move around in and use, their new kitchen or bathroom.